New Year’s Resolutions shouldn’t be so hard that we give up on them before the end of the month. As I like to tell my kids, bigger isn’t always better and sometimes less is more. In addition, in this day and age, I don’t think resolutions should just be about self-improvement, but about how we can help others while improving ourselves. Here are 10 simple resolutions that everyone can do throughout 2015 to feel better and make a difference in their community. Make an effort to perform a random act of kindness every week. Say hello to your neighbor. Offer a seat to someone standing on the subway. Wait 10 seconds before you lean on the car horn to let the car in front of you know that the light has changed! Let the person with two items go ahead of you in line at the grocery store. Yes, I know, these don’t seem like major things, but just think how you would feel if you were on the receiving end. Bring good manners back in 2015! Start simple. Remember a time when we would say, “Excuse me?” when trying to politely get someone’s attention or when we bumped into someone? Manners go a long way, but unfortunately it seems we aren’t using them or passing them onto our youth anymore. Teach your kids manners through example. Forget all the new words added to the dictionary this year. Let’s make some old ones popular again. Make a resolution to add these words to your vocabulary: please, thank you and you’re welcome. Don’t hoard them for your closest friends and family. Share them liberally with everyone you interact with, especially those in retail, customer service, and public service. They need them the most! You’ll be surprised how a few kind words can make a difference in someone’s day. Whenever you notice your pantry is overflowing with too many cans and boxes of food or you can’t fit one more jacket in your coat closet, this is your cue to get a bag and donate extra non-perishable food and gently used clothing. 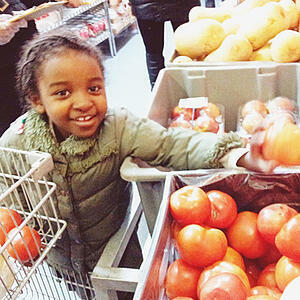 Find your local food pantry or check with a local church for donation locations. Think about something that’s important to you and find a way to volunteer or donate to the cause. Sometimes, the commitment to volunteer a specific number of days or hours concerns people and may prevent them from helping. Decide what you can commit to do. Whether it’s once a week, once a month, or even a one-time event, you decide. Volunteering should make you feel good, not bad because you can’t do it all the time. There are opportunities everywhere in many forms. Take time to do the research and think about how you can use your talents to help others. Practice Patience – This is probably one of the most difficult resolutions since our world has become one where we want results immediately. However, if we all practiced just a little patience, we might not lose our tempers so quickly. And, if we couple patience with our small acts of kindness, just imagine how the world would truly be a nicer place. Write a letter or send a card to an old friend, someone going through a tough time or maybe an aunt, uncle, or grandparent living alone. Yes, I said, "write!" I didn't say text, Facebook message, or e-mail. Sit down with pen and paper and write about what’s going on in your life, share happy memories, and wish them the best. I don’t do this as often as I should, but I actually feel really good after writing a long letter to a friend or relative. I also absolutely love getting those letters in the mail too! Plus, you could also help extend the life of cursive writing! Explore new technology. For some, that’s really easy. For others, technology can be a little scary. Watch kids with iPads, smartphones, etc., and they have no fear when trying new apps or features. But for someone who has lost entire documents in the past, I’m always a little anxious of where each double tap will take me. I've found that, when given the chance, technology can make your life a lot easier. Listen more than you talk – especially with your kids. This may be difficult if your kids are like mine and don’t necessarily like to talk, but this is where listening is crucial. When they finally do decide to open up, just let them take the lead and enjoy the fact that they do want to talk to you! Save some energy. We can all do a better job on this one. Turn off the lights as you leave the room. Don’t let the faucet run when you brush your teeth, put on a sweater and lower the heat, and leave the car at home and walk to your destination for quick trips. Getting out and walking through your neighborhood will also give you the opportunity to greet and get to know your neighbors! Help your community as a family. It can be something as simple as making sandwiches and small care packages for the homeless, checking in on or visiting with elderly neighbors, or shoveling sidewalks for those that can’t do it. You could even host your own neighborhood food drive, volunteer at a food pantry or help clean up a local park. Ask your children how they want to make a difference in the world and figure out a way to do it together. Happy New Year! 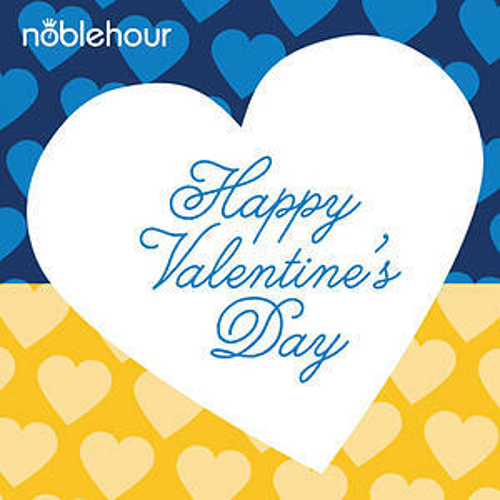 Thank you for reading our articles and being a part of the NobleHour community. May 2015 bring you much happiness, good health, and many opportunities to make a difference in your community! National Grandparents Day is Sunday, September 7. Despite popular belief in my household, Hallmark™ did not create this holiday. In fact the idea originated in 1970 when Marian McQuade, a housewife in West Virginia, initiated a grassroots campaign to set aside a special day just for Grandparents. McQuade felt deeply about the lonely elderly in nursing homes and was also a tireless advocate for senior citizens rights. After three years of working with civic, business, church, and political leaders, West Virginia Governor Arch A. Moore proclaimed the first National Grandparents Day. McQuade didn’t stop there. She petitioned governors in 49 states to follow West Virginia’s lead and set aside a Grandparents Day. Forty-three of those states declared it a holiday. In 1978, President Jimmy Carter proclaimed the first Sunday after Labor Day as the official National Grandparents Day. McQuade passed away in 2008, but many of her descendants carry on her legacy through the National Grandparents Day Council, a non-profit established to protect and promote the original intent of National Grandparents Day as championing the elderly. So in honor of Marian McQuade and all the wonderful grandparents out there, we’ve come up with a list of 10 ways to celebrate the day and honor your grandparents! Whether they are near or far, you can honor them year round. Pick up some take-out, bring your laptop and your cell phone, and get grandma and grandpa connected! Show them how to use e-mail and Facebook to connect with friends and family that live out of town. Set them up with Skype or FaceTime so they can see their grandkids! Turn them in to cyber seniors and then, make sure you can keep up with them! Help them create a YouTube video! Get Grandma to share her secret recipe for those chocolate chip cookies! Get that video camera out or charge up your cell phone and start asking questions! Grandma and Grandpa have a lot of great stories! Ask them about what life was like when they were your age! Record their history so you have a keepsake and can share with others! I bet there’s a box of old photos at your grandparents’ house! Go old school and pick up an album or scrapbook. Spend the afternoon going through and labeling the photos. Let Grandpa share some great stories about the one that got away! Or, gather the photos, scan them, and add them to their new Facebook page! You can also put the photos on a disk and create a video with music for a great birthday or Christmas present! Pick up some poster board or get on Ancestry.com and create your family tree. Take your grandparents to one of their favorite restaurants for breakfast, lunch, or dinner. Turn off the phone, ask some questions, and listen! Get a group together to visit the elderly in nursing homes. Check in on elderly neighbors. Take your grandparents to the movies or catch a baseball game together! Shop and cook one of your grandma’s favorite recipes together! Find opportunities to volunteer together! Helping others can make you both feel great! Enjoy this day and every day with your grandparents. Make sure Grandma and Grandpa post a comment about their special day on our NobleHour Facebook page! Valentine’s Day is coming up, and the best way to show your love for others is volunteering. Usually when we think of Valentine’s Day, things like chocolates, flowers, and cards come to mind, but this year why not extend Valentine’s Day to caring for others, perhaps total strangers, who are in need of some kindness. There are countless people in need in our communities and abroad, and this February 14th I encourage you to show your love in a unique manner. Giving time and thought into improving your community is a true measure of compassion. To demonstrate how Valentine’s Day is such a great excuse to volunteer, I spoke with a high school student whose Valentine’s Day themed service initiative is encouraging her peers to help others. Then, I thought of a few other Valentine’s Day service projects that you might adopt in your community. Zainab Hasan, a high school senior and president of the Global Citizens Corps club at Grimsley High School, shared with me how her “Spread the Love” campaign celebrates Valentine’s Day with service. Around fifteen students are involved in the project. The group is collecting jars of peanut butter to donate to Food Assistance, a local organization that helps low income senior citizens. Zainab explains, “One specific preferred item was peanut butter, so Grimsley Global Citizen Corps decided to do a peanut butter collection, calling it the ‘Spread the Love’ campaign since it's in February . . . Food Assistance helps out 450 families each month and 20% of senior citizens live at [the] poverty level.” Grimsley Global Citizen Corps’ peanut butter collection is one of their many service projects carried out each year. The club has also collected shoes and glasses to send abroad to children in need. Send Volunteer Valentines: For nonprofits, sending thank you notes or cards to volunteers is a nice way to remind them you value their commitment. Volunteers who are appreciated will feel that the time and effort they put into an organization is worthwhile. Developing a relationship with volunteers will build a reputation of respect and commitment that will encourage community members to take interest in your organization. Advocate Love: What are some causes you feel passionately about? What would you like to see changed or improved in the world? Who do you feel society should approach with more kindness? Raising awareness about issues and advocating change is an important part of civic engagement. Make people aware of the issue you are focusing on through posters, social media, and presentations. Celebrate Valentine’s Day by showing where change is needed and striving for a world with people who are more considerate of each other. Bake Some Sweet Treats: Bake sales are a fun way to fundraise for your favorite nonprofit. Make your cookies, cupcakes, and other treats festive with pink and red frosting and sprinkles. Get other people involved to help you decorate your baked goods and plan the event. This Valentine’s Day, we can all show a little more love for each other through acts of kindness and service. Perhaps it's no coincidence that it's also "Random Acts of Kindness Week." 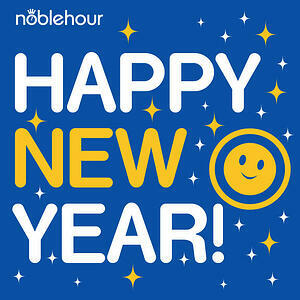 To find ways to volunteer, search for local opportunities and organizations on NobleHour. Find a friend and ask him or her to “be your volunteer” this Valentine’s Day, and share this holiday of love with those in need of it most. Last February, Chicago marked at least 22 days of temperatures at zero degrees or colder. While winter isn't as bitter as last year, we’ve still got a long way to go with no end in sight. And, we are not alone! Even Southern states are dealing with frigid cold temperatures, ice storms, ridiculous wind chills and hazardous driving conditions. 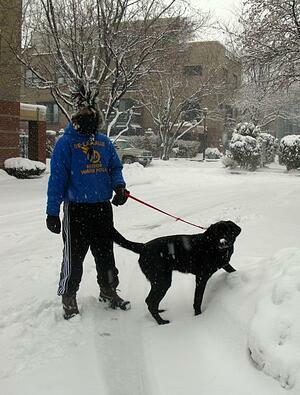 The only people enjoying this crazy weather are the students receiving snow days. The cold days and grey skies take their toll. It’s not easy to be bright and cheery when you’re covered head to toe in fleece, wool and long underwear. It’s just really hard to be nice when you can’t feel your toes. However, there is something that may help thaw your hardened dispositions and warm your hearts! It's the upcoming Random Acts of Kindness (RAK) Week, February 9 – 15, 2015. Considering Valentine's Day is celebrated during the week, it really is a great time to share love and kindness. According to Brooke Jones, vice president of the Random Acts of Kindness Foundation, RAK officially began in 2000 and is now celebrated by millions of people worldwide. 1.) Inspire others to be kind. 2.) Legitimize kindness as a way to improve society. 3.) Be a highly regarded, visible social and emotional learning education program. The organization promotes unique opportunities for all types of organizations, groups and individuals by providing free online resources to encourage acts of kindness across the globe, specifically in school communities. Educators can visit their website for lesson plans, projects, resources and research. In addition, their website lists kindness ideas for the home, office, and school. “When going to a University of over 40,000 students it is easy to get caught up in all the small stresses of everyday life,” said Varshini Kumar, a student at the University of Illinois at Urbana-Champaign. Kumar’s RAK chapter uses Facebook and social media to post sources of inspiration for performing random acts of kindness. The Bone Student Center at Illinois State University provided free treats and giveaways during RAK week last year. The school’s Division of Student Affairs promoted new acts of kindness each day and encouraged the community to pass it on. At the University of New Mexico, the Division of Student Affairs planned a variety of activities to celebrate RAK, including their “Pit of Kindness” where students could “Take a seat, Make a Friend” in a ball pit! Students also donated new teddy bears and made Valentine’s Day cards for children at the UNM Children’s Hospital Trauma Center and Regional Burn Center. At their student union, students enjoyed free kind words, candy, “Be Kind” buttons and take part in a kindness flash mob. Their RAK flyer encouraged student to smile a lot, send a handwritten note, volunteer at a shelter, pick up trash, or give someone a compliment. 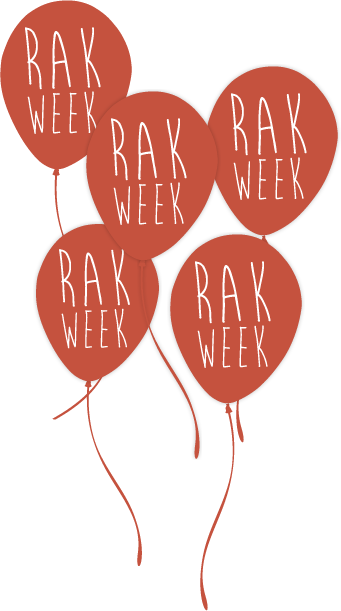 RAK encourages everyone to step out of normal routines and perform a new random act of kindness each day of the week. Are you ready to get in on the act? Here are 20 simple tips from the RAK Foundation to get you started this week. Who knows, you may want to keep it going all year long! Post a positive comment on social media. Do a chore without being asked (Moms will really love this one!!). Eat lunch with someone new. Say good morning to people on your way to school or work. Send a thank you note to a friend, student, teacher, custodian or co-worker. Visit a senior citizen home or volunteer at a shelter. Students can start a kindness chain and add a link for every new act of kindness. Put up “Kindness Zone” signs at the entrance of classrooms to remind people to practice Random Acts of Kindness. Hold the door open or hold the elevator for someone. Babysit for a friend or neighbor. Bring a treat to a friend who is tired or has had a long week. Surprise your team or study group with coffee or snacks. Make an extra sandwich in the morning to give to a homeless person. Prevent road rage and let the car in front of you merge. Pass out hand warmers or an extra pair of gloves to the homeless. 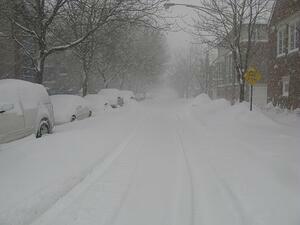 Shovel a neighbor’s driveway or sidewalk. So, as we prepare for the final long months of winter weather, don’t despair. Warm up your home, your office, or your campus with a simple act of kindness. It won’t cost you a thing, but the return could be priceless. Here’s one more act of kindness – come back and share your stories with us! Want to continue performing acts of kindness all year round? 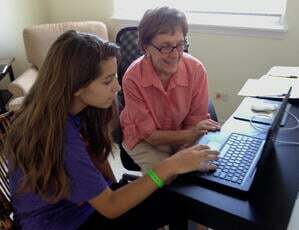 Visit NobleHour for a complete listing of volunteer opportunities!